July 21 at Downtown Summerlin, 10 a.m. – 4 p.m.
July 28 at The Boulevard, 10 a.m. – 4 p.m.
Aug. 4 at the Meadows Mall, 10 a.m. – 4 p.m.
Aug. 11 at the Galleria at Sunset, 10 a.m. – 4 p.m.
For information on summer resources including the above events, visit ccsd.net/summer. Bus drivers earn $15.30 per hour. You an apply online as a bus driver trainee at www.teach.vegas. 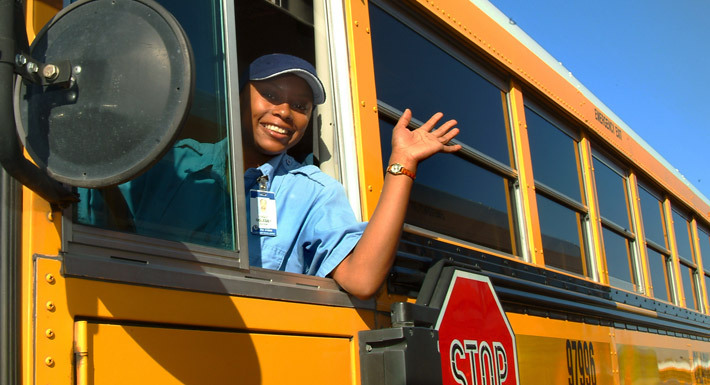 Interested in becoming a bus driver for CCSD? The CCSD Transportation Job Fair will be held May 19 from 8 a.m. to noon at the Wallace Yard, 975 W. Welpman Way in Henderson. For more information, visit www.teach.vegas.